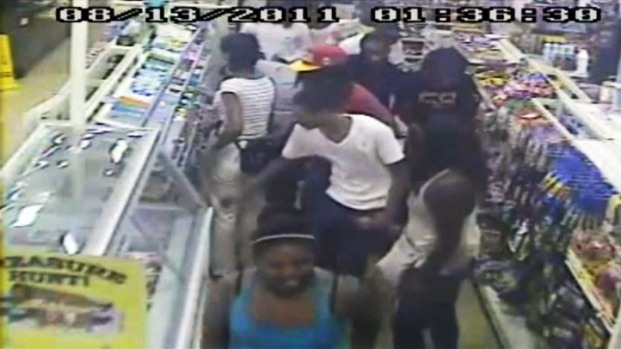 Officials in Montgomery County, Md., are considering ways to prevent flash mobs in the wake of a recent raid that targeted a Germantown convenience shop. Surveillance shows about two dozen teens and young adults flooding into the store, then brazenly taking items off the shelves and walking out without paying. Members of the county council have apparently been in talks with state lawmakers about the possibility of introducing new legislation in next year's General Assembly, according to the Washington Times. It would specifically address crimes committed as part of a mob. Montgomery County Police Chief Thomas Manger has said in the past that a teen curfew would have prevented the Germantown incident. "If a police officer sees 30 kids walking down the sidewalk and they all look pretty young, which they were pretty young ... they say, 'How old are you? You're 17, you need to go home,'" Manger told News4's Tracee Wilkins earlier this month. There are still several opponents to the idea of a teen curfew. The county council is expected to take up the teen curfew issue in September. Authorities have identified 17 of the people from the Germantown incident and are reviewing individual cases to determine what if any charges will filed against them, according to the Times.